Why you need a strong, independent voice to hold the other parties to account. The Senate is one of the most powerful checks on government power we have. Laws cannot be enacted without passing the Senate, which makes it the perfect place to improve bad legislation, block dangerous laws and hold governments to account. Not that the other parties make it easy to stop some truly awful laws from seeing the light of day. What’s up with politics these days? If politics has been doing your head in lately, or if you can’t bring yourself to sit through the trial of a Q&A episode, you’ve arrived at the right place. We feel you. The last few years in politics have made us pretty mad as well. Part of the frustration we’re all feeling is that, for years now, terrible Liberal and Labor governments have failed to address the big challenges we’re facing as a community. They’ve let the gap between the rich and the rest of us grow wider and wider. They’ve stood by while big corporations trashed our environment and undermined our public services for their own profit. They continue to let 1 in 3 of this country’s biggest corporations get away with paying no tax at all. At the very heart of the problem sits one thing: political donations. As insidious as they are secretive, big corporate donations to the major parties have a profound impact on political outcomes and the very wellbeing of our democracy. Since 2012, the Liberal and Labor parties have accepted over $100 million from corporations including big mining, banking, gambling and property development industries. Big donations means big influence, with the result being favourable decisions for big corporate donors worth billions, with no transparency or accountability. This corruption even continues long after politicians retire, with cushy lobbying jobs on the line after they leave parliament. Everyone wins, except you. The Greens are not like the major parties. Unlike them, we refuse to accept donations from big corporations looking to buy influence. Instead, we have a plan to return integrity to politics, hold politicians and parties to account and ensure their decisions benefit all of us, not just those who can pay for a seat at the table. Your Greens representatives are strong independent voices representing the interests of our community, not big corporations like the major parties. To take our democracy back from those vested interests who seek to influence politicians for their own selfish outcomes, we need to elect more Greens MPs to the senate to hold the major parties to account. That’s why, at this election, your vote is powerful. 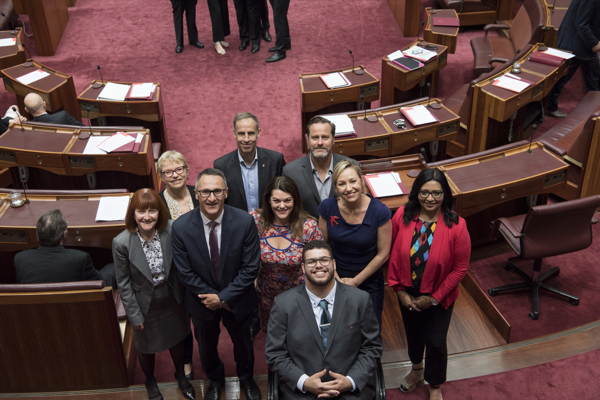 More Greens in the Senate means putting the interests of the Australian community before big corporations, and we have a huge opportunity to re-elect our Senate team and have a strong presence throughout the next term of parliament. Find out more about how you can vote for your local Greens representative this election. The Senate, known as a “house of review”, is also a place where change happens. In fact, the Greens have led the way on so many of our biggest national issues through our work in the senate chamber. The Greens-led medical evacuation of sick refugees from offshore detention in February was a huge win for human rights that would not have happened without our unending commitment to getting every man, woman and child out of detention. It has been our voice in the Senate that has forced the major parties to deal with these issues. 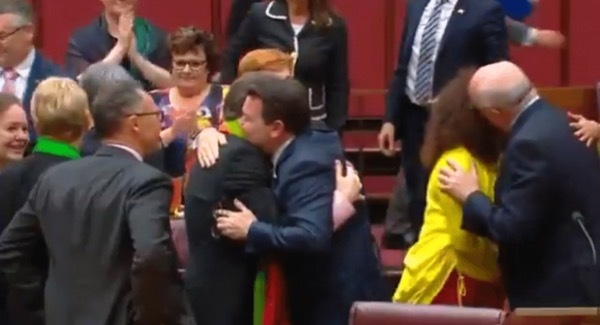 They simply would now have happened without a strong Greens presence in the Senate. This election, we’re absolutely committed to building a future that’s brighter and better for all of us. We know the Liberal party will continue looking after their big donors and the far-right of their party room, and we know that the Labor party isn’t much better. Neither is able to represent the values of our diverse and progressive community. The Greens have fought for and delivered change through our presence in the Senate for years. Now, the first step in achieving progress on the big issues listed above -- like climate change, affordable housing and corruption in politics -- is to vote for someone who will fight for it. This election, vote Greens in the Senate.